Disney Frozen Olaf Snuggle Set for just $16.99! Down from $24.99! You are here: Home / Great Deals / Disney Frozen Olaf Snuggle Set for just $16.99! Down from $24.99! 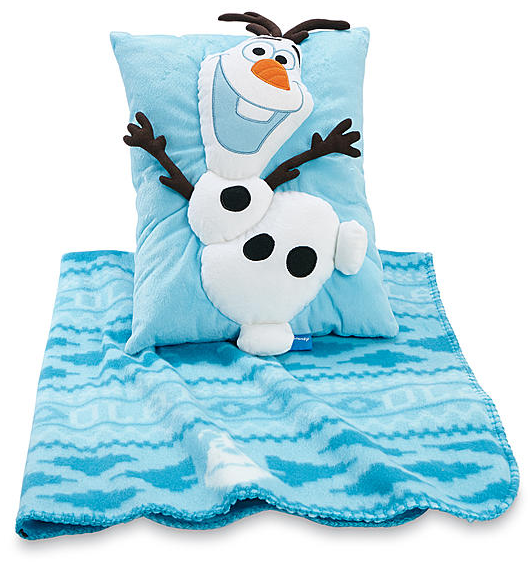 Right now you can get this cute Disney Frozen Olaf Snuggle Set for just $16.99! Down from $24.99! Your little mischief maker is sure to adore the Disney Frozen Olaf Snuggle Set. A fun, vibrant print front of the famous little sidekick adorns this luxuriously soft blanket, while a cute matching pillow completes this enchanting set. Ensure your child is warm and content at bedtime with this snuggle set.